ABMasonic is one of more than 5,000 organizations on LibraryThing. 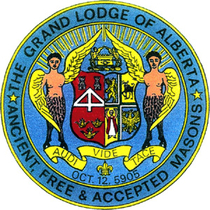 About meThe Library of the Grand Lodge of Alberta, Ancient Free and Accepted Masons. About my libraryThe physical library is located at the office of The Grrand Lodge of Alberta at Suite 208, 2618 11th Street NE, Calgary and is open during rregular business hours and by appointment.